On March 31st, Ketchup Entertainment is set to release Shinji Aramaki’s interstellar thrill ride, Harlock: Space Pirate on Digital HD, On Demand and DVD! Based on the classic comic book and TV series, this live action adventure stars David Matranga (Appleseed, Journey to Agatha), Emily Neves (Starship Troopers: Invasion, Journey to Agatha), and Rob Mungle (Blue Seed, Lady Death). A mysterious space pirate of the future, Captain Harlock, is determined to return his death ship and loyal crew to a battered Earth, which has been declared off-limits by the intergalactic Gaia Coalition. The rogue captain comes up with an incredible plan to go back in time to rescue Earth, but that includes the destruction of everything, as it exists. A young soldier of the Gaia Coalition volunteers to go undercover on the infamous skull ship and assassinate Harlock, but he soon discovers things are not as they seem. As dark secrets of the past are uncovered, the fate of the entire universe teeters on a very thin edge. 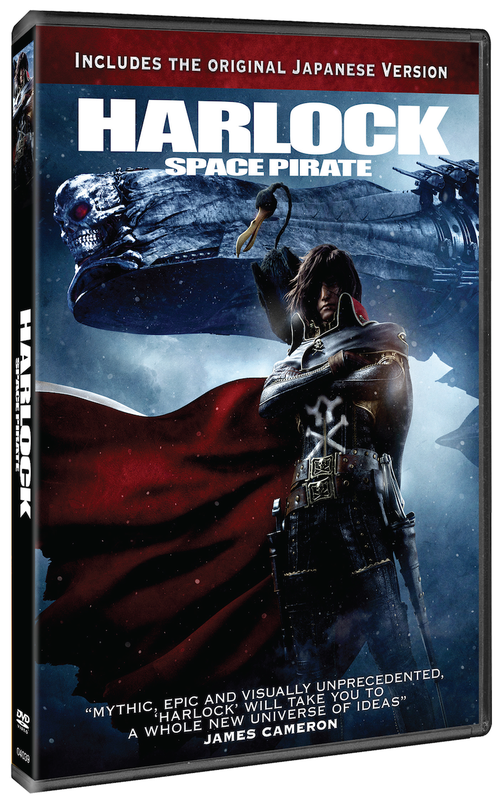 CLICK HERE to order your DVD of “Harlock: Space Pirate” or get it on Digital HD or On Demand on March 31st. If you want to see it on the BIG screen here are a few dates for you….. This entry was posted in DVD/BLU RAY and tagged aliens, Captain Harlock, classic comic book, Gaia Coalition, Harlock: Space Pirate, James Cameron, Ketchup Entertainment, Shinji Aramaki, space pirate. Bookmark the permalink.